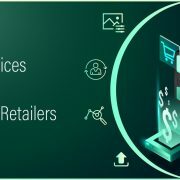 Online Retail Services | What Keeps The Website Traffic Engaged? 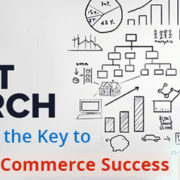 The world of internet is inundated with immense competition, especially for online retail services. The marketers are fighting fiercely to capture a major share of online traffic. However, gaining more traffic is the battle half won. You need to engage the users on your pages for a longer time. This is the biggest hurdle faced by the online retail platforms. Usually, customers visit their site but soon after, hit the back button without taking the desired action. The number of users, repeating this same action without returning again, constitutes the bounce rate. You can reduce this figure by enhancing the overall usability of your website. Use relevant keywords and integrate easy navigation on your pages. Also, improve the loading speed of your site and make it responsive for mobile devices. Content is the language and tone that you employ for interacting with your audiences. It should be concise and sharp. Keep it minimal and informative. 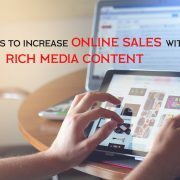 If your content can add some value to the life of your visitors, you may influence them to come back for more information in the future as well. Use clear titles and subtitles. Add style guides and latest trends specific to your niche in your blog. By offering new products and content regularly, you can engage the audiences for a longer duration. However, you need to highlight the same for grabbing their attention. Apart from this, keep popular products always on the top. Remember, these are the items that have garnered a decent response from users. So, make it available for the new visitors as well. Also, make a section for wish list where visitors can save some items for later purchases. When integrating images and product specifications into your landing pages, you need to be cautious. Use only high-quality HD images that clearly focus on the key features of your products. 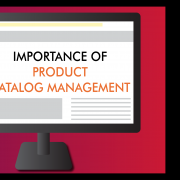 Also, display the catalog of products clearly. Add complete specifications and technical details of every listed item. This information will enhance the trust of visitors and induce them to make purchase from your site. They are your brand advocates who can promote your site among their social circles. If they are already doing so, reward them with a personalized acknowledgement and share their testimonials on social media profiles. Also, you may use a loyalty program by offering perks like discounts, free samples, and free delivery to these advocates. Furthermore, you can build an excellent brand audience by launching a referral program where you can offer incentives to the customers recommending your products to their friends and family. Your e-commerce website development is incomplete without integrating a Live Chat feature into its design. It is the easiest way for the visitors to get in touch with the product experts for guidance and recommendations. It is a successful digital touch point when leveraged properly. 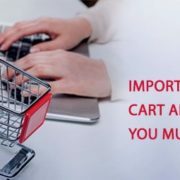 These are some of the best strategies to keep visitors engaged on your e-commerce website. At Infognana, we offer the most comprehensive online retail solutions to diversified industry verticals. We can offer you complete help in reducing the bounce rates and enhancing the conversions on your pages. 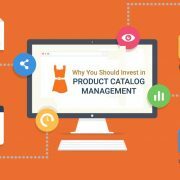 Tags: e-commerce website development, online retail services, online retail solutions, What Keeps The Website Traffic Engaged On A Product Page? 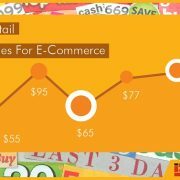 https://www.infognana.com/wp-content/uploads/2017/01/online_retail_services-min-1.jpg 255 680 Infognana https://www.infognana.com/wp-content/uploads/2017/02/Logo.png Infognana2017-01-30 11:06:522017-10-05 14:40:31What Keeps The Website Traffic Engaged On A Product Page? What Business Tasks Should You Outsource To Enhance Overall Productivity Of... How Can Publishers Leverage Mobile Technology?